I’ve gotten a couple emails and comments from people who seem to be confused about two of ESRI’s mapping products. ArcWeb Explorer and Arc_GIS_ Explorer are two very different products. 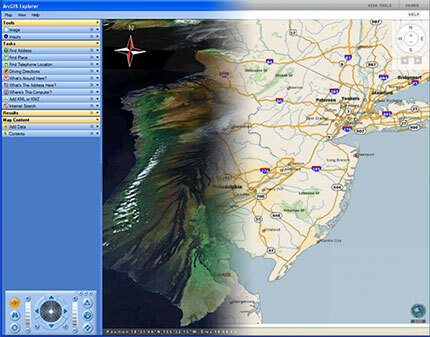 ArcGIS Explorer is a 2D/3D windows client, while ArcWeb Explorer is a Flash-based web client. Both are quite impressive though and both are due to be released in January 2006. I’ve always thought there are way too many products with the word “Arc” appended to the front of them, but we might be at the point where there are too many with the word “Explorer” in them too.